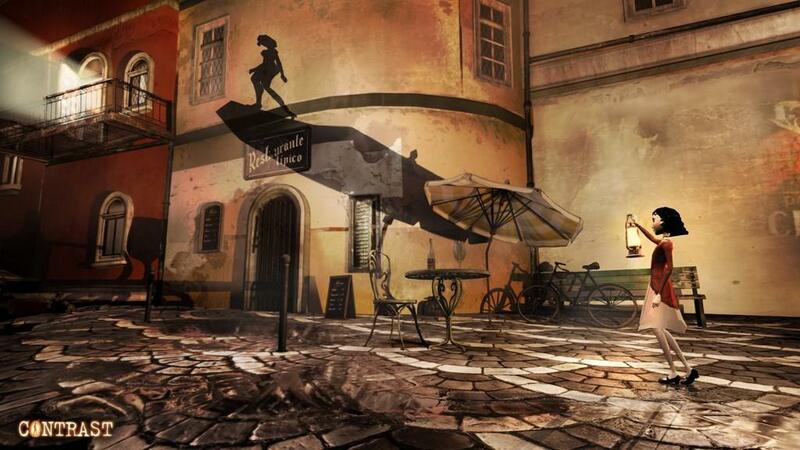 Contrast was one of the best looking and most original games at this year's E3. There are no guns, explosions, giant swords, or blood in the game in Contrast. Contrast doesn't have any augmented attack dogs, giant battle suits, or terrorists that have to be stopped. No, Contrast is a game about a girl and her imaginary friend, Dawn. DeeDee, the little girl in question, is going through a rough spot as her single mother is trying to kick start her career as a cabaret singer, keep food on the table, and deal with DeeDee's biological father. Set in a 1920's art deco world that evokes Moulin Rouge, Contrast is a twist on the light/dark gameplay we've seen in other games. In the game you control Dawn. Dawn has the ability to become a shadow on demand to get around the world and this is where things get interesting. 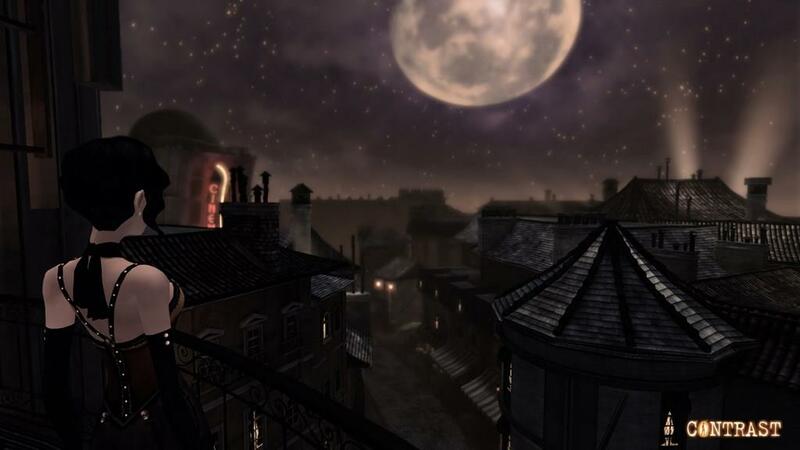 To get through the puzzles in the game you'll have to do some heavy platforming that must sometimes be setup by manipulating lights in the game. DeeDee is also a factor in the gameplay as she can help or hinder Dawn as she tries to get around the world. For instance she can hold up a stick to help bridge two areas or she can stand on something and create a barrier that must be navigated around. What makes Contrast different is how it tells the story. As Dawn traverses the world she'll sometimes use have to use the shadows of DeeDee's parents to traverse the world and this is where the conflict between the parents is told to the player. Much like how a child hears their parents arguing in the next room, Dawn will be forced to listen to the parents argue as she uses their shadows to navigate the world. 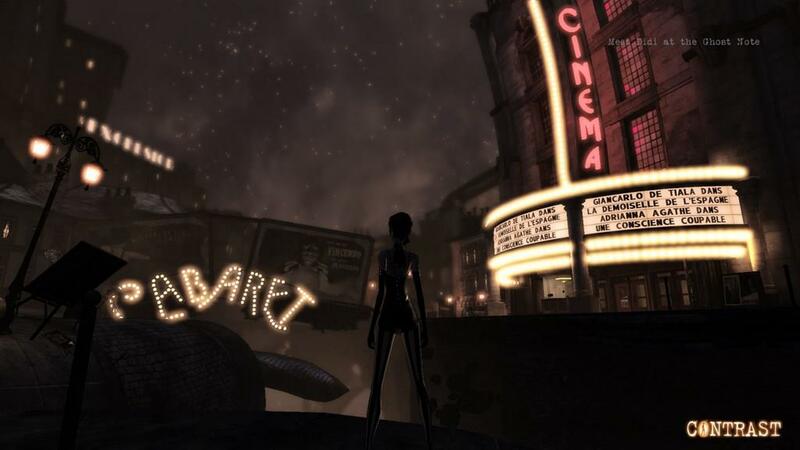 In addition to the great art style and unique storytelling system, Contrast also has a fantastic musical score. Focus Home brought in a jazz singer to compose some original songs for the game. I'm not a big Jazz music fan but the music fits perfectly with the rest of the game. I'm not sure if I'm underselling or overselling Contrast as I didn't get a chance to play the game myself but based on the presentation this is a game that should be on your radar.